3BR/3Bath Townhome w/ Pool near Disney! 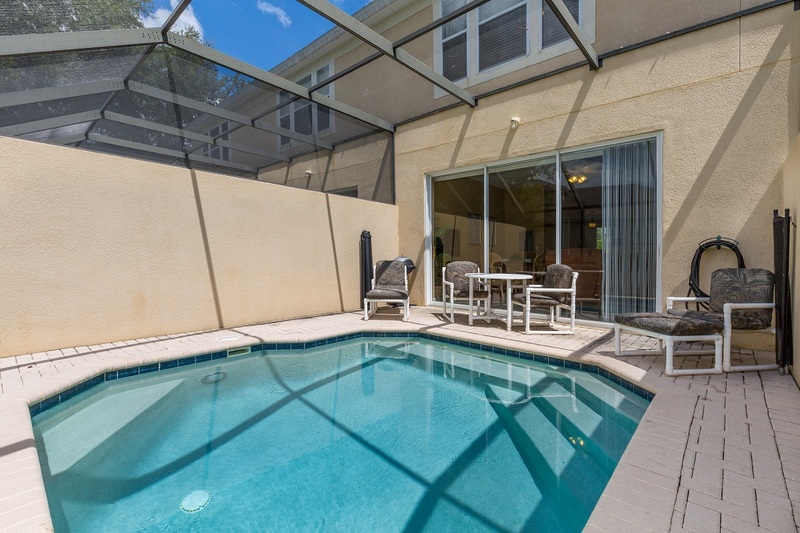 Make our 3 bedroom/3 bath townhouse your ‘home away from home’ for your Orlando vacation. Located just 2 miles from Disneyworld in the brand new Windsor Hills Resort, our home is located near all the action! The home has a screened, private splash pool that faces southwest, offering plenty of sun. We can accommodate up to 6, with the master bedroom having a king bed, the second bedroom a queen bed, and third bedroom a pair of twin beds. 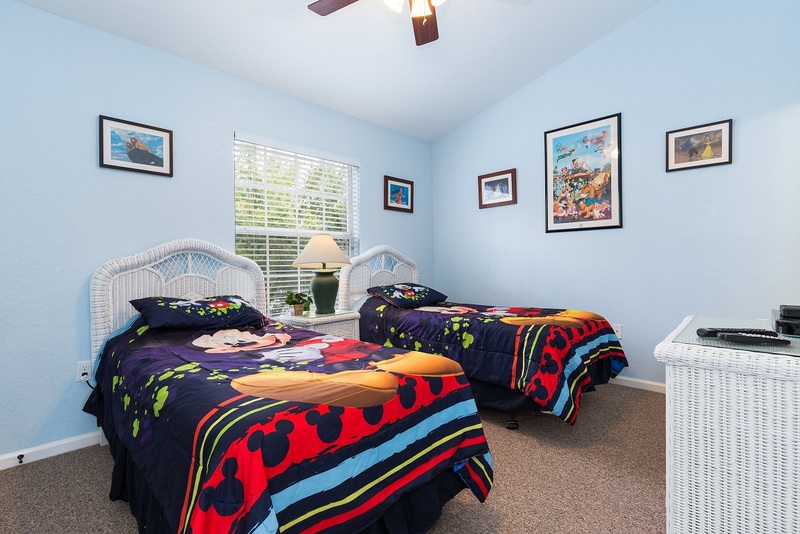 The twin bedroom is Disney themed! All three bedrooms plus the great room have cable-equipped TVs. Other amenities include a fully equipped kitchen, dining table with seating for 6, and a full-sized washer/dryer. It’s just a short walk to the fabulous clubhouse with Olympic-size pool and waterslide, 50 person movie theater, and sundry shop. Plus, our townhouse is in the townhouse building that’s closest to the fun-filled playground!